Anyone looking to get free TV channels can do so easily with a good antenna. 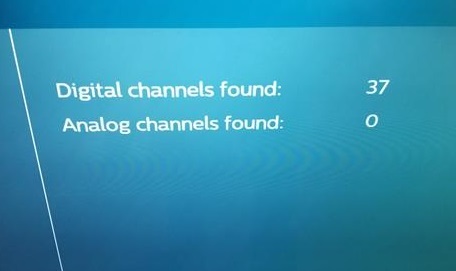 Free TV over-the-air channels can be picked up and now is all in HD Digital resolution. This means free digital TV channels of popular networks such as CBS, NBC, FOX, PBS, Weather channel and much more can all be watched free. Two basic requirements are needed to watch over the air broadcast. 1… A TV that can pick up digital signals. 2… A digital TV antenna to boost the signal into your home. Most TVs made in the last 5-7 years will be able to decode a digital TV signal. Some new HD TVs dont come with a built in converter so be sure to check your TV manual. Since most will have a digital TV simply buying a digital antenna is all that is needed. If you live in a city close to TV transmission towers you may be able to pick up stations without an antenna. 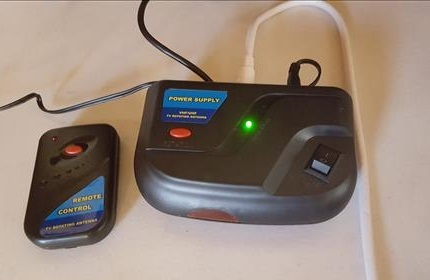 A simple way to test this is to go into the TVs menu system and scan for over-the-air TV channels to see if it can pick up anything. While some may not need an antenna most will with many units to chose from. As always be sure to read reviews on Amazon, forums, here, or elsewhere to be sure a unit is the right pick for you. 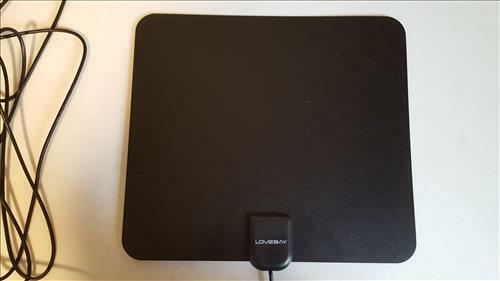 The Lovebay 1080P is a low-cost small flat and compact antenna that is built for indoor use. It comes with a signal booster that greatly improves the video quality received. 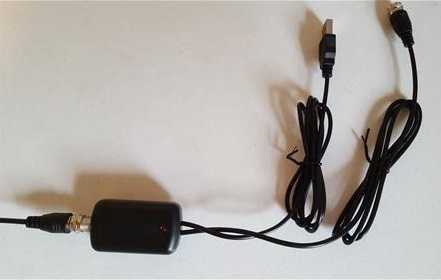 The signal booster simply plugs in-line on the coaxial cable and draws power from a USB source on a TV or wall outlet. The range is stated as 50 miles with this very much depends on the terrain between the signal and the antenna. During our test it worked very well especially with the in-line booster plugged in. It is a good unit along with a low cost that makes it worth a look. The PremWing is a digital HDTV antenna built for long range for those who have problems getting a good signal. Even though it is built to be mounted outside it can also be mounted in an attic and still works well. It comes with a motor that turns the antenna helping to narrow in on a broadcast tower and get the best signal. A signal booster box with a remote control is also included. The PremWing is a good unit that worked well in our test and still currently being used and tested. The Mediasonic Homeworx HW110AN HDTV antenna is a small low-cost option. It is an indoor antenna that picks up stations at close range. If you live in a semi-large city you are likely close to the transmission towers and can pick up a signal with this budget option. If you live outside a large city, a longer range antenna will most likely be needed. 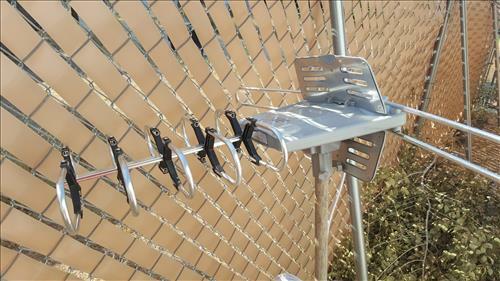 1byone makes this long range outdoor antenna that is for those that need distance. They make antennas to fit almost any distance needed from 30 miles to 100 miles. This is not only a good option if you live far from a transmission tower but also city users will be able to pick up more stations from neighboring cities. ViewTV makes this long range over-the air TV antenna for those very far from transmissions. It has a range of 150 miles and can rotate 360 degrees to help dial in a station. It has full HDTV support 720p and 1080p and comes with a remote control. The Globmall is an indoor unit that can pick up free digital TV station broadcast along with a signal booster. It is built to be mounted in a window facing the broadcast towers. It is a low-cost unit that works well at picking up local TV stations. Cutting the cable cord is something that many look at when it comes to saving money. And it is no wonder with cable rates going up as much as forty percent in the last two years. If you are looking to cut-the-cord than your options have never been better with online streaming. There are many post about streaming online your favorite TV shows using Kodi or other services such as Netflix. But what if you want a completely free source of content? No internet, no bills just free. Well this is possible with over-the-air TV antennas. Some can remember the old days with rabbit ear antennas that picked up fuzzy TV stations. Picking up a TV broadcast for free over the air is something that can be easily done. This combined with a online streaming service such as Hulu or Netflix go a long way to save in cost. Everyone will no-doubt have a different scenario and need to find the right fit for them. Someone who live far away from a cable company line may have to use a antenna for TV since no cable goes to their home. Another person looking to simply looking save money can save on monthly bills by using a simple antenna. When looking for an antenna be sure to read the reviews on Amazon or elsewhere to be sure it is a good fit for you. Hi – I am enjoying your information! Wondering if you can answer a question though? I don’t seem to be able to get a straight answer about getting FREE TV where we live. We are in Chemainus on Vancouver Island. We live in a condo and could only have an indoor antenna. We have an LG “smart” TV. Any good advice greatly appreciated. ps – we have dropped our cable and just have NetFlix. Here in the states there is a few sites to check possible stations that can be received, here is one. https://www.tablotv.com/tools/ I am unsure about Canada it seems as though there should be a similar site. It is against the law for home owner associations to disallow residents thw use an outdoor antenna. Please search for this infor on the web. Federal law allows all people to use putdoor antennas. If you are disallowed feom using an antenna or satalite dish, the people doing this are breakign federal law.